The historic town of Radstadt is perfect for lovers of nature and culture. Located in the St. Johann im Pongau District in the state of Salzburg. The town sits at the foot of the Robrand Mountain in the heart of the Enns Valley. This ensures easy access to some of the best skiing in Austria during the winter and excellent hiking trails during the summer. 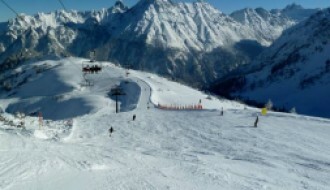 The town forms part of the Radstadt and Altenmarkt ski region which provides access to more than 19 pistes on a single pass. More advanced skiers also have access to 160km of cross-country trails along with a terrain park. Approximately 60% of runs are suitable for beginners, 35% is suitable for intermediates and 5% are suitable for advanced skiers. 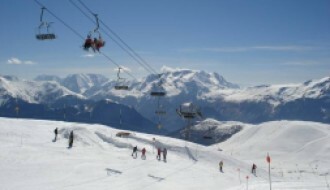 All the pistes are easily accessible using one of the 9 ski lifts which serve the town. The ski season in this part of Austria runs from 20th December to the end of March with the best snow found in early January through March. But most of the slopes have snow cannons so skiers can expect good coverage throughout the season. Accommodation in the town is mostly apartments which are based in converted buildings. Being a historic town there aren’t many new apartment complexes being built and strict planning restrictions are in force. This makes the town a good investment opportunity since the availability of new apartments is limited. Radstadt is a small town located in the Ennes Valley, high in the Austrian Alps. The air is incredibly fresh up here which is why it has become a popular place for people to come and get some relaxation time out of the city. The town itself is very traditional and centred around a large square which is lined with many independent cafes and restaurants making it the perfect place to relax after a hard day on the slopes. Despite its modest size, Radstadt is incredibly well equipped with a large hospital, library, excellent shopping facilities and a wide range of restaurants to suit all tastes and budgets. There are some bars and nightclubs to keep younger travellers entertained, but the town is not renowned for its nightlife. Younger revellers will find a more diverse and exciting nightlife in Salzburg which is about an hour’s drive away. Radstadt is a historic town which can trace its history back to 15 BC. First developed by the Celts, it was then used as a stopping off point by the Romans traversing the Tauern Pass. By the 14th century, Radstadt had become an important staging post due to its location on the border between Austria and Italy. This resulted in many majestic buildings being built during the 14th and 15th centuries. Unfortunately, many of these were lost to great fires in the 16th and 17th centuries. Only the Schustertum tower remains as a reminder of past grandeur. Today the town is a popular tourist destination which retains its historic city walls and traditional architecture. Although not as grand as the past, the town is very pretty and remains true to its medieval layout. And there is little chance of this heritage been lost because the town was the first in the State of Salzburg to pass an ordinance which preserves the townscape. Because of the ordinance preserving the town's heritage, new developments are limited. You won’t find any ugly concrete towers dominating the skyline here. Most apartments in the centre of town are located in converted villas, but these don’t often come on the market. When they do become available, they are expensive compared to other properties in the region. For those looking at buying a property in Radstadt, better value investments can be found on the edge of town. There are a number of low-level apartment complexes under construction which are designed in a traditional chalet style sympathetic to the rest of the town. These offer good value for investors and should provide good rental income throughout the year. As popularity in the resort increases, as does incoming support from inestors. Recently, Radstadt has had a new reservoir developed in the area, Kemahdhöhe. This allows for a capacity of over 110,000 m2 of snow production throughout the entire resort – perfect for any expansive cold periods or times with little snowfall. With plenty of things to do in Radstadt both during the summer and winter, the weather plays an important role. According to last season’s snow report, which can be found here, Radstadt receives the most snow in mid to late January with an average of 23cm of snow falling per week. 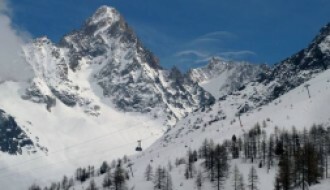 This period also shows the best conditions for skiing with bright sunny days and low winds. Looking at last summer’s weather report, Radstadt gets the most sun during June, July and August, with the latter two months proving to be the hottest. Temperatures during August can reach a high of 24ºC which may be too hot for some of the more challenging hiking trails in the region. Keen hikers would be wise to visit during May/June where temperatures are a more manageable 18-22ºC. Radstadt is easy to reach by road, rail and car. The town sits just 6km from the main A10 Tauern Motorway which connects Salzburg with Villach in the South. The town also has a mainline railway station which provides fast connections to Austria, Switzerland, Germany and Italy. Taxis are available from the station to your accommodation. The nearest airport is Salzburg which is a 1-hour drive from Radstadt. 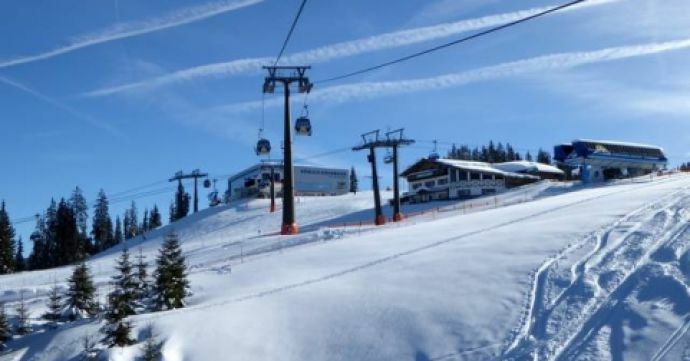 Flights are available here to destinations throughout Europe and the rest of the world, with many car rental and ski transfers available directly from the airport.